Well, today I am going to show you how to do just that using the Easy Digital Downloads plugin. Specifically used as a way to sell non-physical items such as e-books, songs, videos, and even appointments, Easy Digital Downloads gives you complete control over the setup, promotion, and marketing of your online shop. 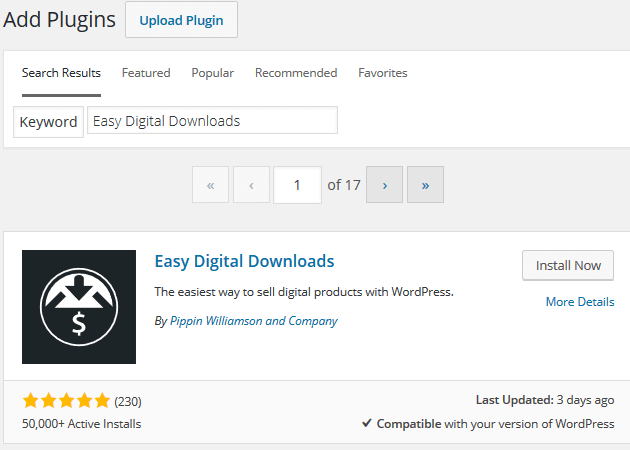 So, let’s get started and see how you can begin selling digital downloads directly from your WordPress website using the free Easy Digital Downloads plugin. Easy Digital Downloads is a complete eCommerce solution for selling non-physical products. Built as a lightweight, high-performing plugin, EDD provides only the features needed to make selling digital items easy. Though there are plenty of eCommerce plugins designed for setting up shop online, many of them tend to focus on the selling of physical products. And, while sometimes having lots of features is helpful, if you are simply looking to sell digital products, EDD has all of the features you need and nothing more. Advanced cart system for purchasing multiple downloads. Data export for CSV and PDF. User purchase history and re-downloadable files. Translation into 26 different languages. Raking in an impressive 4.8 out of 5 stars and boasting over 1 million downloads to date, EDD is easily a complete digital download platform. And in case you need additional functionality, there are hundreds of extensions and themes to pick from to make the most out of your online store. PDF Invoices. Both admins and customers can access PDF versions of invoices. Manual Purchases. Manually create purchases and assign them to any registered user or buyer. EDD Bookings. Add a booking system so customers can book and pay for any type of scheduled event, service, or resource. PayPal Pro and PayPal Express. Accept payments via PayPal Pro and PayPal Express. Software Licensing. Add a software licensing system for license key generation, activation, and validation. Add to Cart Popup. 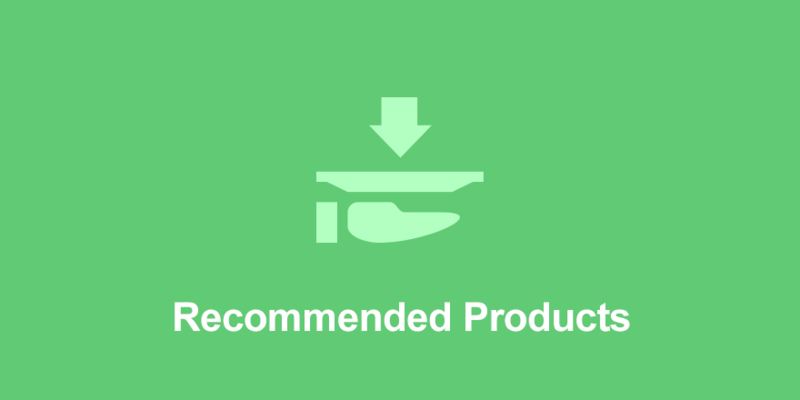 Enable a Continue Shopping or Proceed to Checkout button when an item is added to the cart. Frontend Submissions. Turn your website into a marketplace and allow customers to sell their own digital products on the front-end. 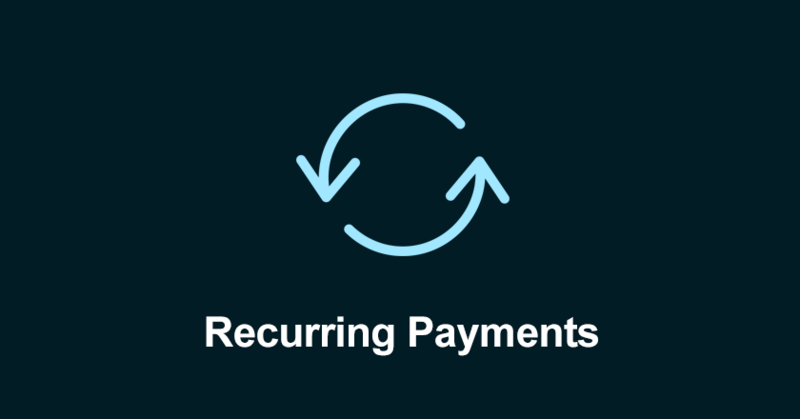 Recurring Payments. Set up automatically recurring subscriptions to generate predictable revenue. To install Easy Digital Downloads directly onto your website via the WordPress dashboard, first, navigate to Plugins > Add New and search for Easy Digital Downloads. Select Install Now and then click on Activate Plugin to enable it. 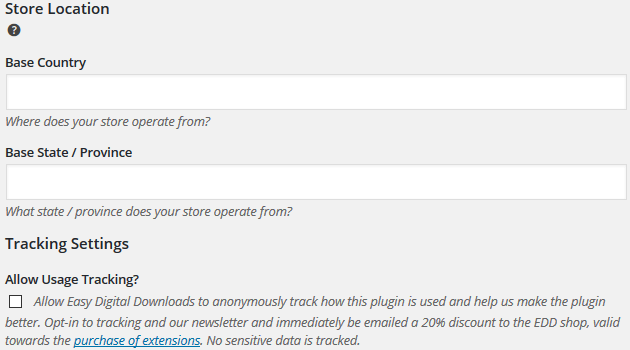 Notice that a new WordPress dashboard menu item has appeared upon activation labeled Downloads. Once you install and activate the EDD plugin, navigate to Downloads > Settings in the WordPress dashboard to configure the plugin’s settings. Notice that there are several tabs to choose from near the top of the Settings page. Select General > General Settings to get started. The first section you will configure is made up of your Page Settings. Next, configure the Store Location settings. In this section, you dictate where you shop’s base location is and the state or province in which your website is located. 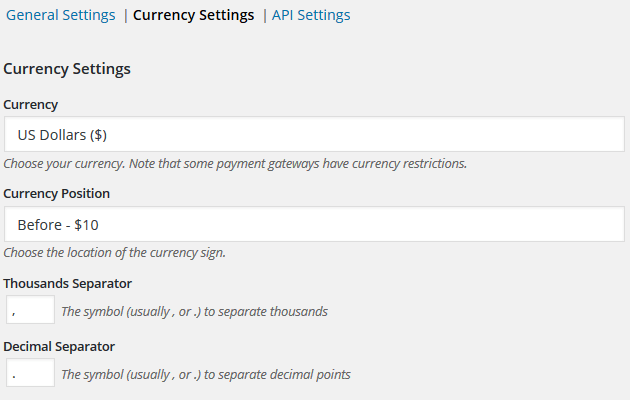 These settings are especially useful for configuring Payment Gateways, which we will discuss later on. 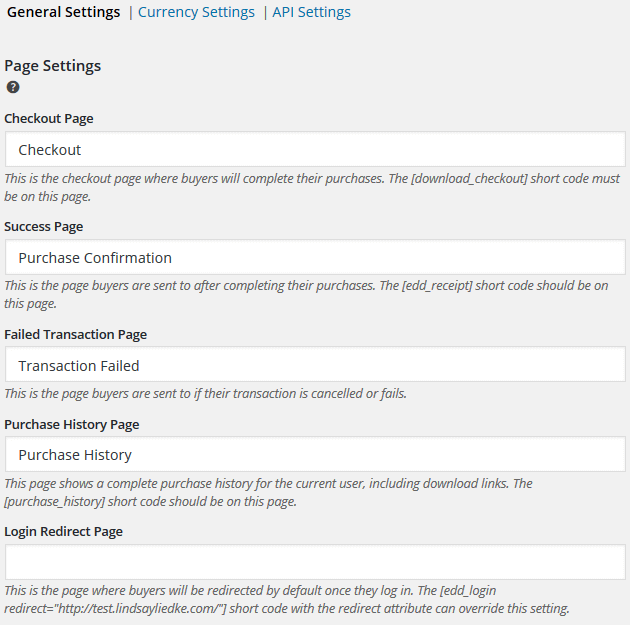 Now that you have your general settings configured, navigate to General > Currency Settings to define the currency you will be using to price your digital products. Here you determine things such as currency, currency sign position, thousand separator symbols, and the decimal sign separator. There are currently 27 different currencies to choose from that you can price your products with using EDD. Navigate to Emails to configure your plugin’s Email Settings. This is where you choose an email template, complete with a company logo, to send to your customers when they make a purchase from your store. You can preview the purchase receipt and even send a test email to make sure everything works properly. Under the Purchase Receipts section, design how you would like each purchase receipt email to look. Set a From Name, Email, Subject Line, Email Heading, and Email Content. Here you also include a link for the customer to download the purchased files. Next, under the New Sales Notifications section you can send emails to customers informing them that a purchase was made, complete with details regarding the purchase. Apart from the Payment Gateways, the next three sections of the EDD plugin settings are fairly straightforward. Styles. Determine the basic styling of the default EDD button styles including color. You can also disable the default settings if you are knowledgeable in CSS and want to customize your buttons to match your website. Taxes. Here you set the tax rules for purchases. You must enter information such as tax rates, fallback tax rates, and when to display tax rules. Misc. The miscellaneous EDD settings include things such as whether to enable AJAX for the shopping cart, checkout redirect options, whether quantities of items can be changed, whether to remove data upon plugin deletion, and whether to cache the page upon checkout. There are also other settings like login forms, cart saving, button text customization, download rules, accounting settings, and the Terms of Agreement. In order for you to sell your digital products, you must set up a way to accept payments from your customers. Out-of-the-box, Easy Digital Downloads works with the PayPal Standard and Amazon payment gateways. Navigate to Payment Gateways > Gateway Settings and select which default payment gateway you wish to display. If you wish to use other payment gateways you must install one of EDD’s respective extensions. Here you can also test purchases without completing a live transaction to make sure everything is working properly. Additionally, choose which major credit cards you will accept here. Keep in mind that if you choose to accept credit cards you must configure those payment gateways as well. 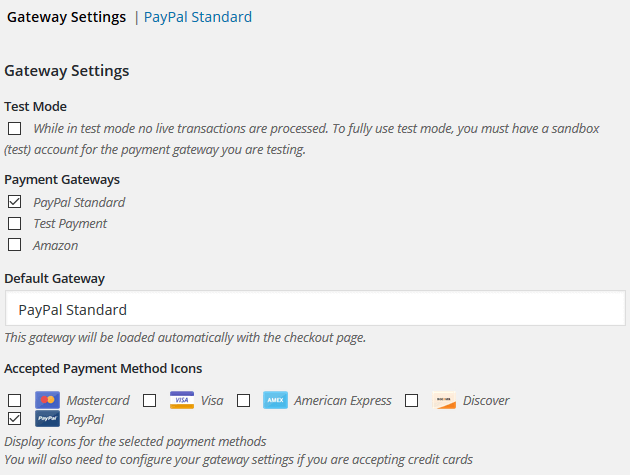 Under the Payment Gateways > PayPal Standard section you can easily set up your PayPal gateway for accepting money from your customers. Simply designate the PayPal email address the payment will be sent to. When a customer checks out, they enter an email address for the receipt to be sent to along with their name. Once the payment has been processed and funds have been secured, the customer will then have access to the downloadable product they purchased from you via the Purchase Receipt email they receive. 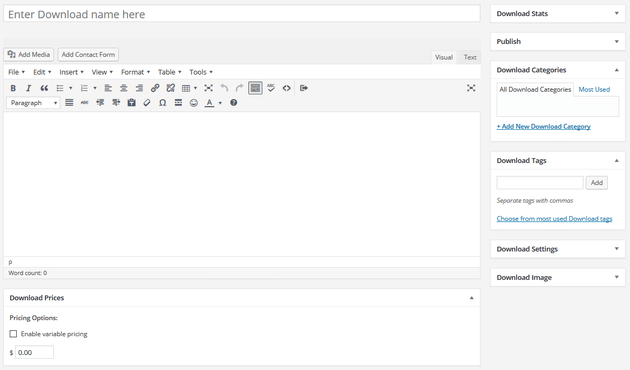 Creating a product or download in EDD is just like creating a new Post or Page in WordPress. First navigate to Downloads > Add New in your WordPress dashboard. Here the main takeaway for you is to name the digital product, add a description, set categories and tags, and set a fixed price for the product. Setting variable prices for different versions of the product. Adding download notes that get sent with the product. Adding download-only categories and tags. Downloading files for purchase is easy to do. Simply upload the file via the Upload a file button or enter the file’s URL. If you want to create a bundle package, just click on the Product Type Options drop-down menu and choose Bundle. Then download the appropriate files that you wish to offer as a set. Once all of your settings are finalized, click on Publish. Your digital download is now ready to sell! Now that you have created a digital product for your eCommerce shop, you must display it properly for site visitors to see. This will place all of your products in a 3 column layout with a 30 word excerpt and a purchase button that says Add to Cart. Another option is to display a purchase button on your post or page that is easily clicked on by customers. This is especially useful at the end of a product review or informational piece. By doing this you encourage related purchases at the end of your content. In the end, the way you display your digital products t customers is entirely up to you. You can customize the display of your products how you see fit. After all, you know best what will appeal to your site visitors. The free Easy Digital Downloads plugin is a great choice for anyone looking to sell digital products directly from their WordPress website. It is easy to use, set up, and customize and has a wide range of additional features available for boosting functionality and sales. If you are looking for an all-in-one solution for selling non-physical products from your WordPress website, easy Digital Downloads comes highly recommended. Have you ever used Easy Digital Downloads to set up a digital online shop? Did you use any of the extensions? I would love to hear all about it in the comments below! I am trying to upload software file with exe, using easy digital download. This product seems to fit most of my requirements to sell downloadable PDF books from my WordPress site. However, it seems to operate in a single currency, is this correct? I note you can select to accept payments from 27 different currencies but to sell internationally, we need to offer the PDF books in the currency of the purchaser (either automatically or by selection), do you know if this or another free digital download store can do this?